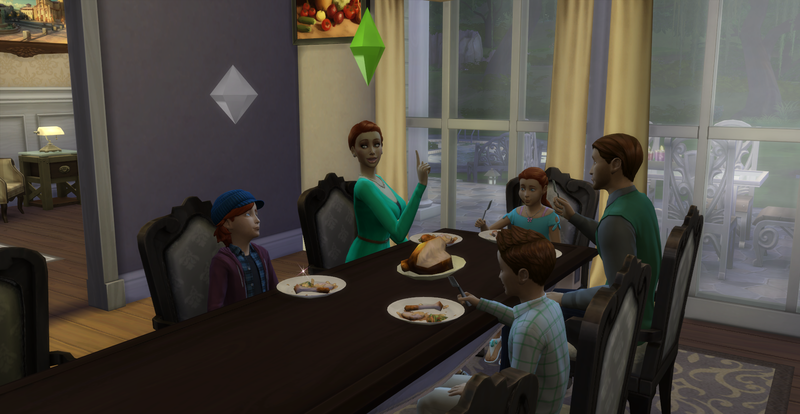 She then calls the Family to their first dinner in the house. 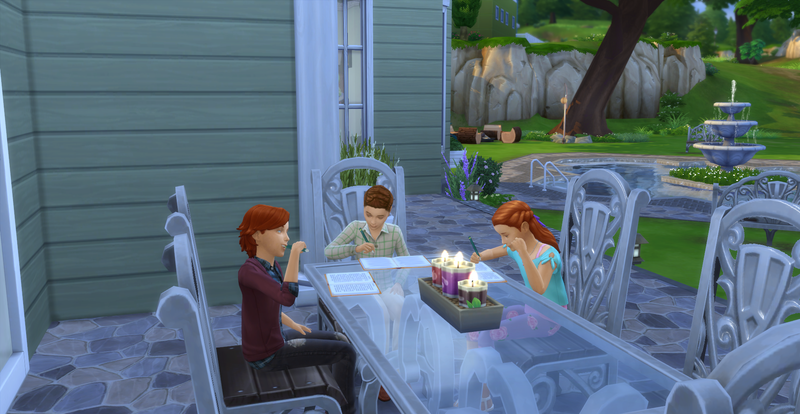 Siobhan asks Aiden if he is looking forward to attending school in a new district. Alroy bragging to his partents. “Look at him, you will be just like your Dad! Always trying to gain as much knowledge you can. It will help you in the future to further our Family’s name here.” Says Deaglan. 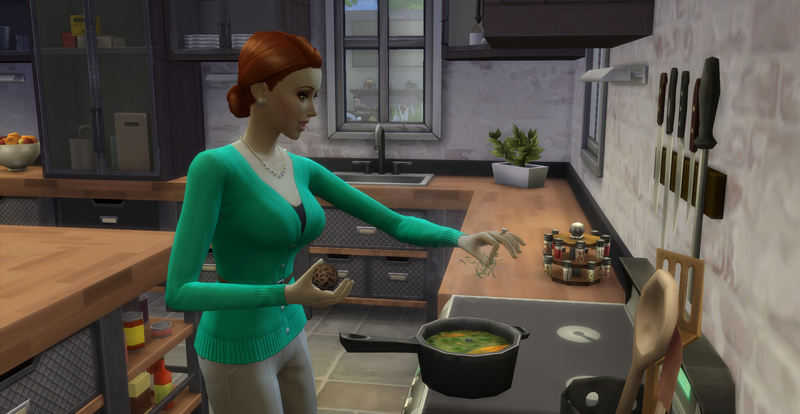 “Honey, nice ladies don’t put their hands in dirty clay.” Siobhan informs her. “But Mum, I know other girls who have clay at home that their parents let them play with.” Arwen wines back. 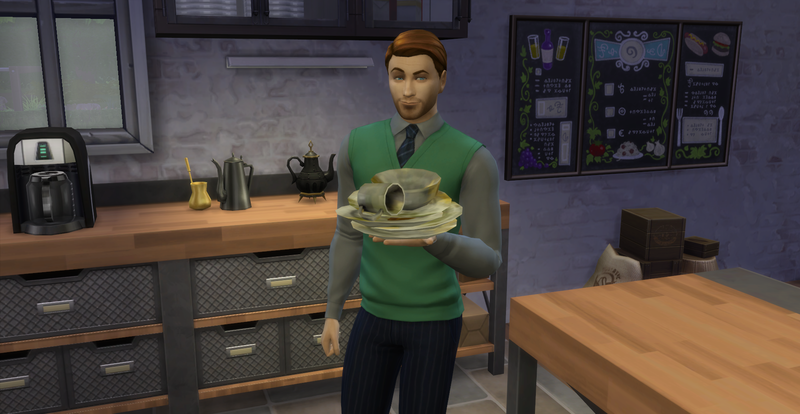 Deaglan is such a wonderful husband, he cleared all the dishes from dinner and washed them! After dinner everyone heads to bed, it has been a long day for them unpacking all their stuff that they moved from their old house as well as getting familiar with their new neighborhood. 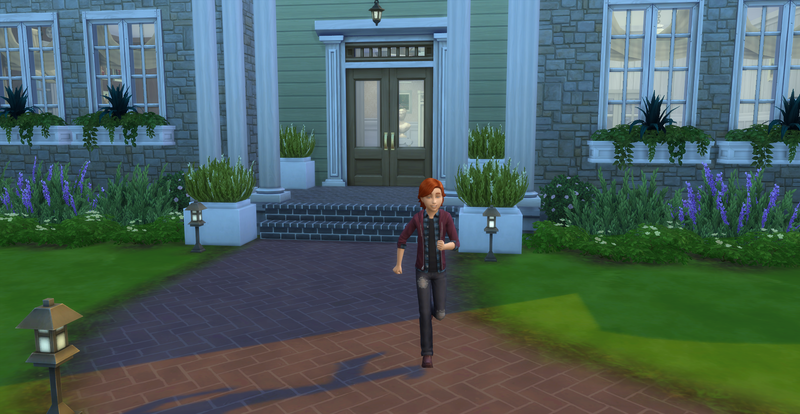 The next day, Arwen is very excited to wake up in the new mansion and attend her first day at their new school! Her brothers also get up, although they seem less excited or maybe they aren’t morning people. 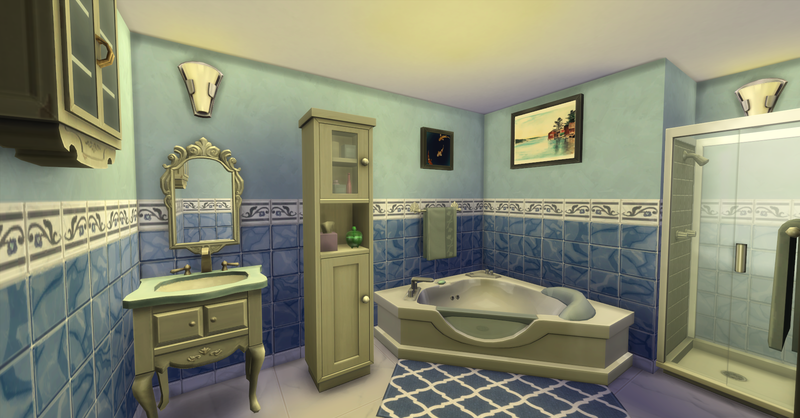 Deaglan will also be going to work this morning for his firm, Dewey, Cheatem & Howe Incorporated, so he gets up and into the shower to get ready. Everyone has successfully gotten showered, dressed and fed in time for school and work respectively. 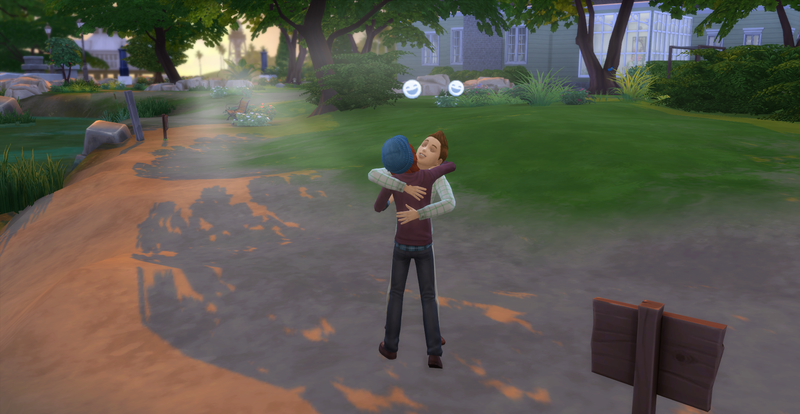 Well almost everyone, Aiden had been goofing off and now has to run to catch the school bus! He doesn’t look too worried about it. 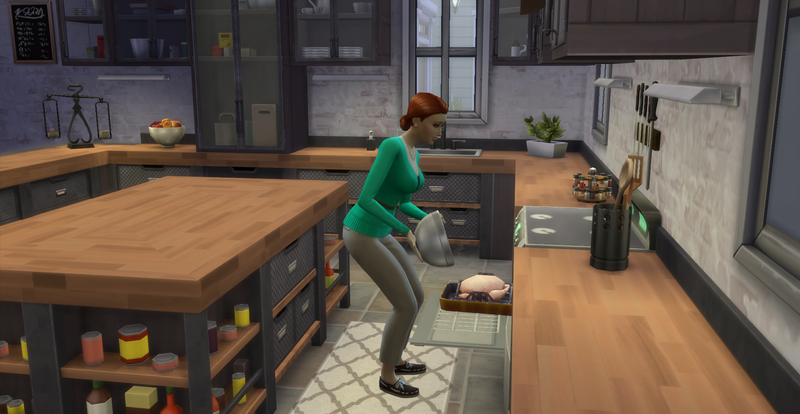 While the children are at school and Deaglan is at work, Siobhan spends her time on household tasks and chores. 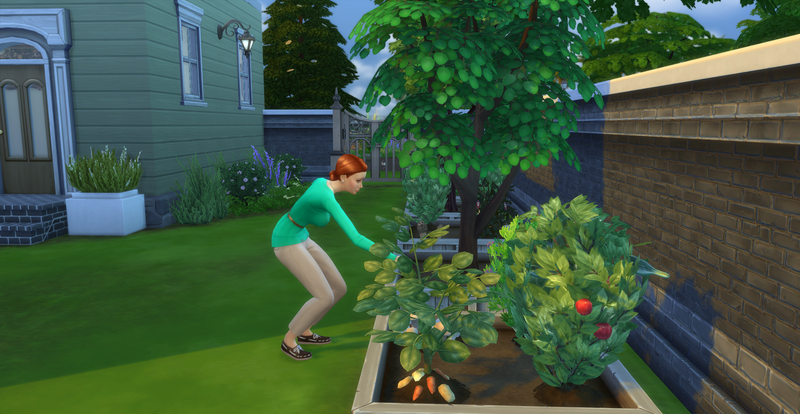 Siobhan gathers all her harvest for the day so she will have fresh ingredients for their meals. She also prepares an herbal concoction from the herbs in her garden to create a Natural Herbicide Oil to keep the weeds down in the garden so she doesn’t have to spend all day weeding and watering. 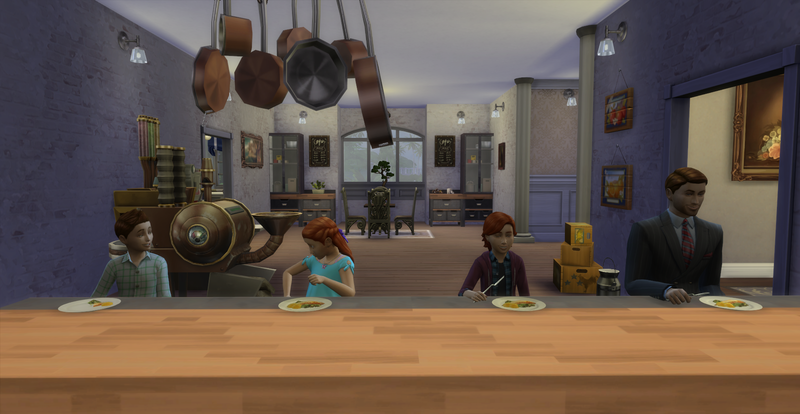 The children arrive home from school and Siobhan greets them and asks about their first day at their new school! 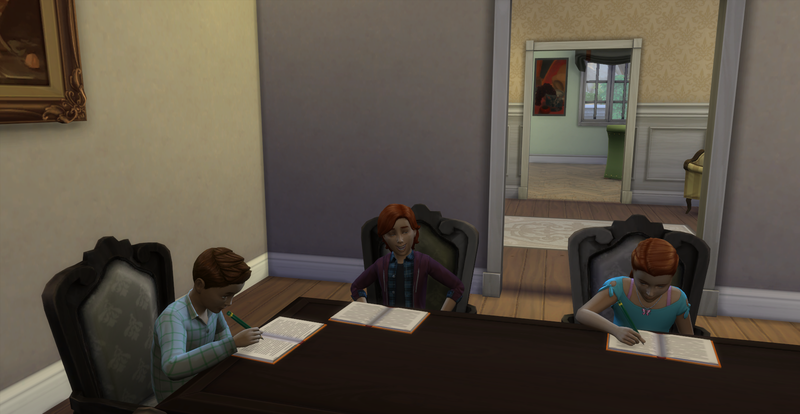 Both Alroy and Arwen are such good students but Aiden is more interested in making jokes instead of doing homework. Dinner the second night is much more casual, everyone gathers at the breakfast bar in the kitchen while Siobhan preps tomorrow’s dinner. The rest of the week’s schedule ran very similarly to the first day. 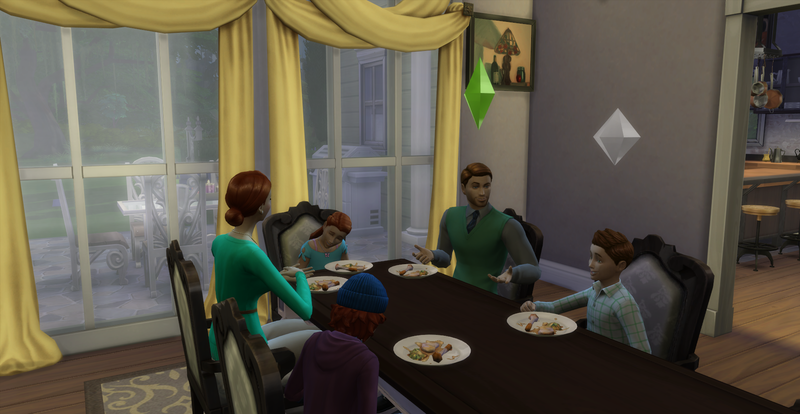 There were several interesting events that happened to the family during the week. One day the children decided to do their homework on the patio since the weather was so nice. 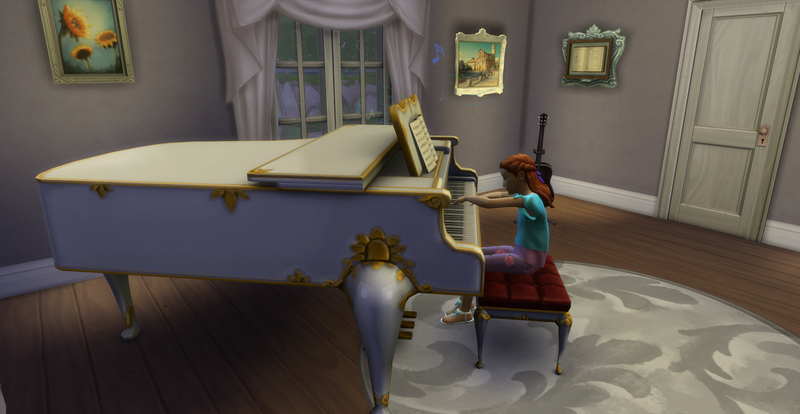 Siobhan though Arwen should have music lessons, so she started learning the piano. It will also help her complete her aspiration. Aiden and Alroy explored the creek area behind the mansion together and became Best Friends Forever! Arwen was bullied in school for being a good student and she needed to decide how to handle the situation. She had two options, she could tattle to the teacher but she though that might actually make the situation worse. Or she could try to track down her bully by herself and try to resolve it, she decides that this is the better option. 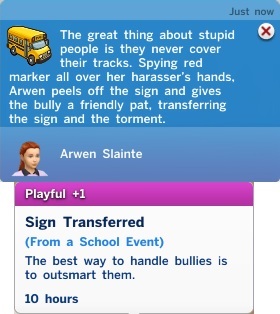 Arwen was successfully able to handle her bully problem herself and got a positive moodlet from it! 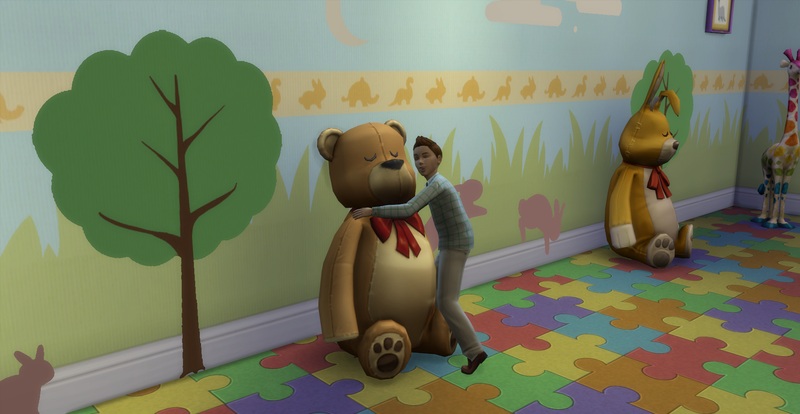 Alroy also became friends with Blarffy the Stuffed Bear. Too cute! That sums up the first week in the Slainte mansion, Deaglan has a big surprise in store for the Family this weekend! Come back to read Chapter 6 and find out what Deaglan’s surprise is! Stay Tuned for Chapter 6!